Have you ever done something you never thought you would do? And not something for which you are proud. The other kind. Hours before his death, Jesus was betrayed by two of his followers—his friends. Judas and Peter both did something they never thought they would do. Judas betrayed Jesus with a kiss. Peter denied his friend three times within a matter of minutes. Can you feel the guilt both of these men felt after they committed these acts? I can feel it. I’ve felt it. Ever done something for which you assumed God would never forgive? Haven’t we all? Usually when we feel this guilt, we’re brought to one of two places: remorse or repentance. 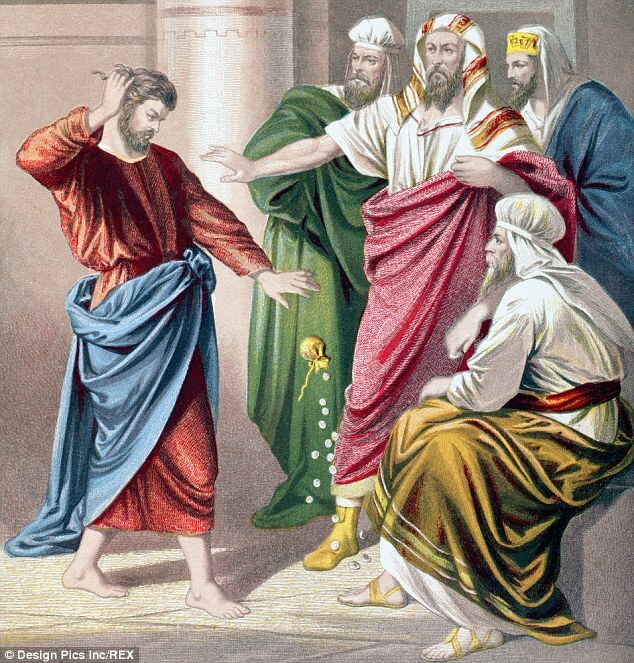 Judas tried to give the money he earned for his betrayal back to the chief priests. But that act wouldn’t erase his guilt. It didn’t change his responsibility in the death of Jesus. His remorse and sorrow couldn’t heal him. He ultimately committed suicide. Peter wept and repented. Later Jesus would reinstate Peter and ask him to watch over His sheep. Jesus wanted to use Peter because even though he made mistakes, he still loved Jesus deeply. 2 Corinthians 7:10 says, “Godly sorrow brings repentance that leads to salvation and leaves no regret, but worldly sorrow brings death." Your life can change when you trust Jesus, when you admit your mistakes and give them to him. Will you let Jesus’ love for Peter and forgiveness for his mistakes lead you to repentance and godly sorrow? Today’s Challenge: Make a list of yesterday’s sins. Read the list aloud to God. Ask His forgiveness and then rip the list up and throw it in the trash because He forgives you. Dear Lord, we thank You that no matter the sin we have committed that You have already forgiven us. In the Name of Jesus, Amen.